Thanks for submitting your aoudad hunting experience! We appreciate the time you took to give us all the details about your hunt. We’ll let you know if we use your story. 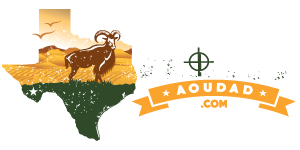 In the meantime, check out the different aoudad hunts we have available. Have questions about our hunts? Be sure to view our Aoudad Hunting FAQ page. Ready for your new adventure? Book your hunt! Below are just a couple of the stories that have been submitted to us so far! So those of you who want to get a taste of West Texas this is the hunt for you. Your guides Chris and Dave are true desert guys, outside of knowing all you would ever need to know about the sheep that inhabit this rugged area, they can also teach and show you all the essential desert survival skills it takes to live in this harsh environment. You will know from meeting them immediately that they care about you and you’re not just another number to them. This is the reason I will go back to them and why I will recommend my friends and peers to hunt with them. Not to mention that I harvested a sheep that exceeded my expectations and also saw double digit numbers of them every day on my hunt. Kevin C.
Ready to Roll? Book your aoudad hunt now!